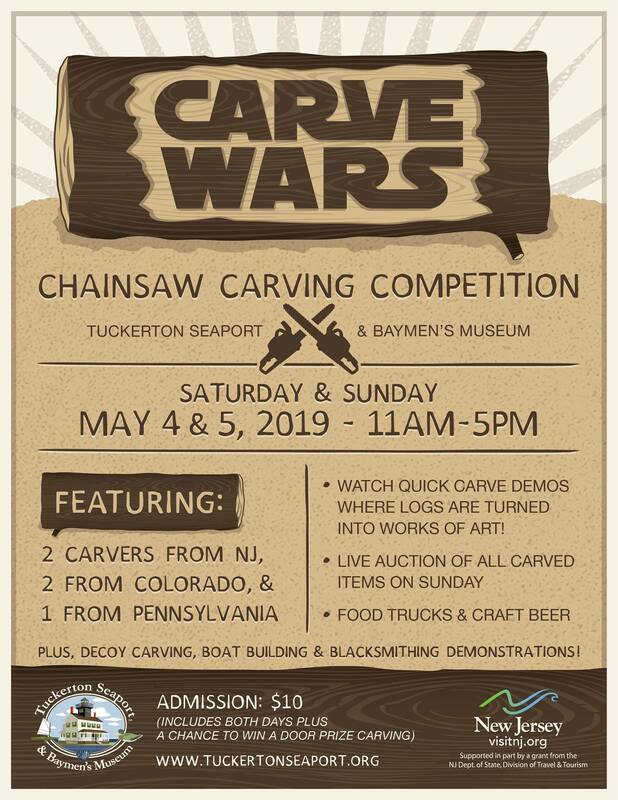 Join us as Tuckerton Seaport hosts Carve Wars, an epic chainsaw carving compeition on May 4 & 5, 2019. 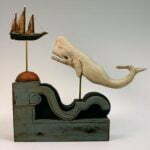 This festival will feature carvers from New Jersey, Colorado, and Pennsylvania. 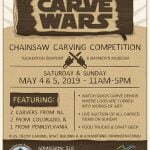 We will also have Decoy Carving, Boat Building, and Blacksmithing Demonstrations, as well as a Food TRuck Food Court with Craft Beer from Pinelands Brewing! Watch quick carve demos where giant logs are turned into works of art. All items carved on site will be auctioned off. Admission for this 2 day festival is $10 (free for kids under 5 and Seaport Members). Admission also includes a door prize ticket good for a chance to take home a carving!